Bitcoin? Buy them on Bitboat in a easy, fast and safe way. 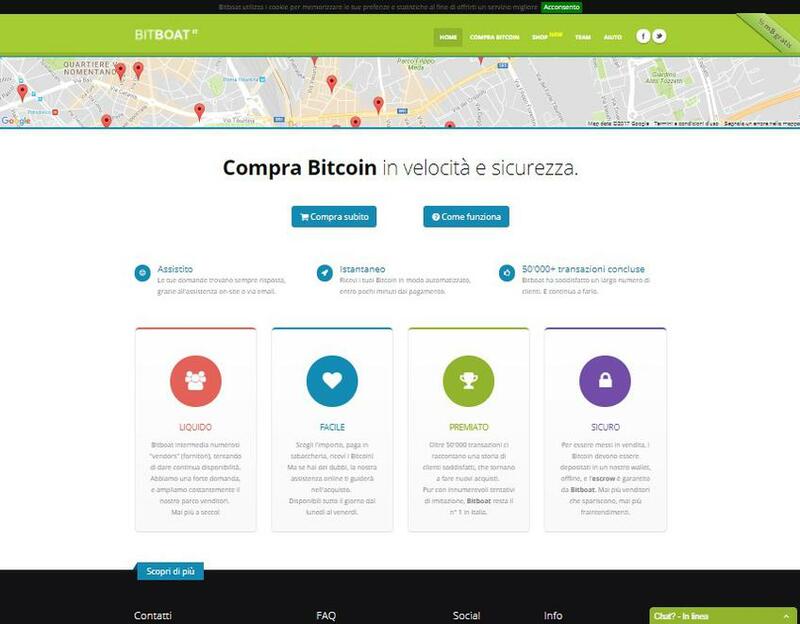 Buy Bitcoin online in cash; Simple, fast and secure. Payments from Sisal, Lottomatica or post offices with Postepay; Online with JiffyPay.